Being part of cooking groups on Facebook is quite the roller coaster ride. Reading the comments is proof that folks can argue over literally anything! All drama aside, if you make it through the name-calling you are bound to stumble on some amazing recipes and great tips. Whenever something feels mind-blowing to me, I just have to share it with the world. So, today, here is a collection of tips that I’ve gathered from the at-home chefs of world wide web that I think are worth sharing! Beverly said, “You can freeze raw, fresh, whole tomatoes. I don’t even put them in containers. If you pull them out of freezer and let them sit for 5 – 10 minutes, the skin will slip off like an (Instant Pot) hard-boiled egg. Throw them in any soup, sauce or stew and viola! I use them in so many things. No more wasted tomatoes or running to the store because I was out.” What??? Whole tomatoes in the freezer? I can honestly say that I’ve never even considered that. #2. Use your IP Pot or your crockpot as a freezer mold, suggests Rich. Prep your food, put it in a freezer bag, and then freeze it inside the bowl. That way it is guaranteed to fit back when you’re ready to cook it. #5. Repurpose your shower cap. Huh? That’s right, your shower cap. Use it to perfectly cover dishes by stretching it around the edge of the bowl. Wash and reuse! #6. Freeze the cheese. Seriously! Freeze a block of cheese for about 30 minutes and grating becomes a breeze. #7. Get the nasty off your fruits and veggies. Lord knows what you’re really grabbing when you pick up that ridiculously shiny red apple off the produce shelf. Save some bucks by creating a produce wash using baking soda and water. Other folks recommend vinegar and water as working just as well! #8. Marshmallows are awesome. We already know that. But did you know you can use them to keep your brown sugar soft by popping a couple in the bag? #9 Cutting potatoes is a snap. Just use your apple corer! 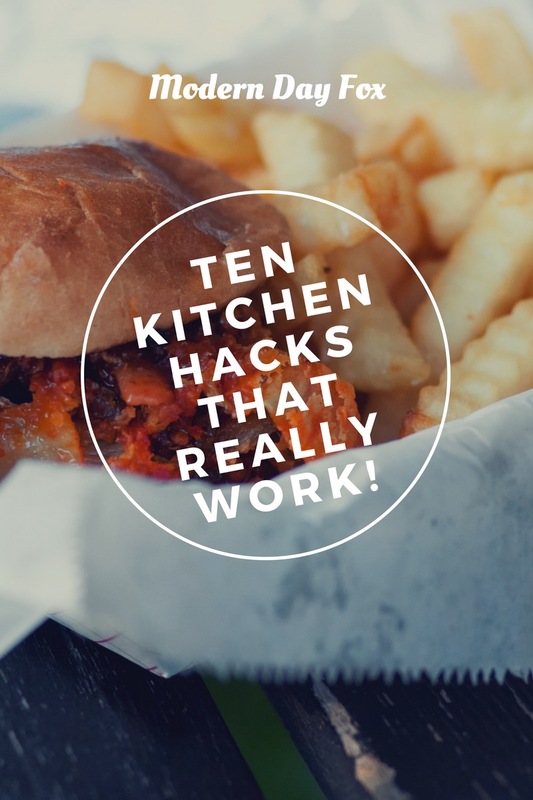 Hope some of these hacks help you in the kitchen!